You called the helpdesk and heard the invitation to translate the telephone in the tone mode, then dial in this mode a few numbers. How do you do it? Many wired push-button phones, there are special switches, designated as the "Pulse-Tone". If you are connected to the modern electronic exchanges that support tone dialing mode, keep the switch in position "Tone". If tone mode is necessary only for calls to reference and similar services, to use the switch inconvenient it will be to wear out, moreover, some devices react to changes of its position only after the tube is placed and removed again. In wireless phones, especially the DECT standard, the same switching is done via the menu. But the use of this method with calls to answering services also uncomfortable. For this reason, if your PBX does not support tone mode, temporarily switch it is better to carry out so. When you call the help Desk in a pulsed mode, click the asterisk. After that, all further keystrokes will cause transmission of tones. After you hang up, the machine again automatically switches into pulse mode. For calls from cell phones to transmit tone signals to perform any switching is required. Even if you do not hear them, in fact they are still transmitted to the subscriber. If it turns out that the response to keystrokes is missing, find it in the phones menu the item allows you to enable the transfer of DTMF signals, and activate it. Sometimes there is a need to transmit tone signals with such wired phones, in which the mode is not provided at all. 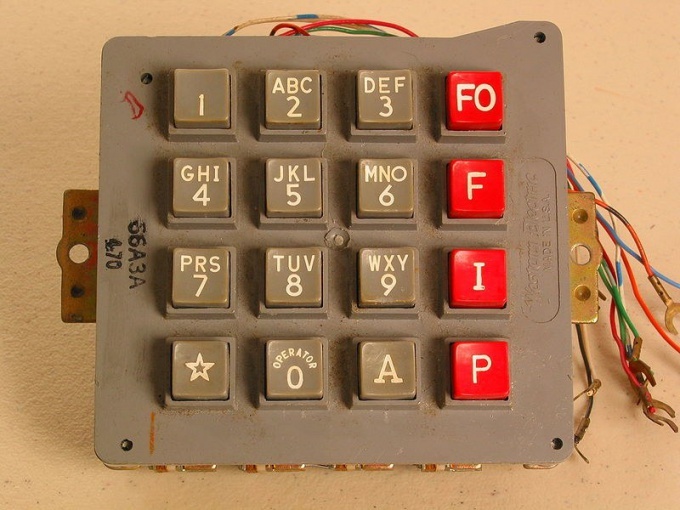 By the way, such a device may be keypad, just old enough. Then switch your cell phone into this mode to make the touch tones when you press a key was heard directly from its dynamics (if such a mode the device). Bring the speaker to the handset microphone wired apparatus. Typing on the keyboard cell phone the appropriate numbers, then press the snooze button to avoid the call. There are also special devices for acoustic transmission of a DTMF signal beeper.